What motivated the 16th century explorers? The question is a vexed one the world over. To this day, a troubled folkloric status hangs about the better-known names. Many of the Tudor explorers set sail from the South West peninsula. 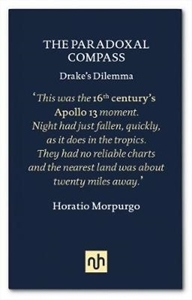 Morpurgo, with his own deep connections to the Dorset coast, unearths the stories behind little-known key figures Stephen Borough and John Davis, and their brilliant navigational teacher, John Dee, inventor of the 'paradoxall compass'. 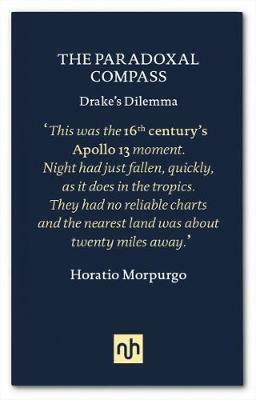 Morpurgo dramatises an episode in Drake's circumnavigation during which the Golden Hind was stranded on a rock off Celebes, Indonesia. What altercation occurred between Drake and the ship's chaplain, Francis Fletcher, during those terrifying twenty hours? Morpurgo makes a compelling argument for what was really at the heart of that disagreement, and its present-day repercussions. He argues that the Tudor navigators and their stories may hold the key to how we should approach the current environmental crisis. This is the Age of Discovery as you've never heard it before.